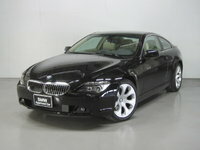 Start a new BMW 6 Series question. What Does It Mean When The Range Pop Up On Your Dash Board?? 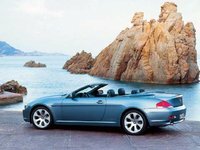 With nearly a decade of service from its CS and CSL E9 coupes, BMW knew the aging platforms were simply not going to carry it into the coming decade. 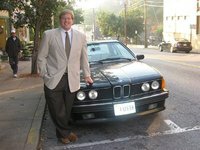 Truly, BMW came to represent much of the yuppie aesthetic of the 80s, but before that could happen, they’d need to contend with the changing direction of the auto industry as a whole. With new federal safety standards being introduced in the U.S., BMW realized a new approach would be necessary in order to continue selling to the Americans. Rather than update the CS, the decision was made to design a new luxury sports coupe – the 6 Series. 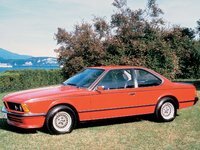 Just a year after releasing its iconic 3 Series, the 6 Series made its debut in 1976, with initial manufacture performed by Karmann but shifting to in-house production at the BMW headquarters in Munich within the year. Upon introduction, the 630CS and the 633CSi were made available. Both came with inline six-cylinder (I6) engines, with the 630 getting a 3.0-liter fitted with a downdraft carburetor, and the 633 being motivated by a 3.2-liter, Bosch L-jetronic fuel-injected engine. Both engines sported two valves per cylinder and came with the option of a four-speed manual or three-speed automatic transmission. With 182 and 194 hp respectively, both the 630 and 633 were potent performers, able to leap to 60 mph in less than 8 seconds. The changes came quickly for the 6 Series, however, and by 1978 there was a new horse in the stable – the 635CSi. Bumping displacement up to 3.4 liters, the 635 offered the savvy luxury enthusiast 215 hp. While impressive, the bigger jump was in torque figures. 224 lb-ft could definitely be felt as an upgrade over the 633’s 209 and even more so compared to the 630’s 188. Again offering the Bosch L-jetronic fuel-injection system, the 635 could make it to 60 mph in about 7.5 seconds and do so in style. 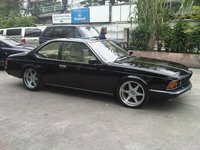 Unwilling to hang on to carburetion any longer, BMW replaced the 630CS the following year with the fuel-injected 628CSi. Its 2.8-liter inline six had been borrowed from the 528i of the time and offered similar, albeit slower, performance figures in the 630CS. 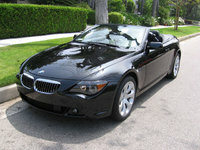 More importantly, it had a substantial upgrade in economy – perfect for the entry-level 6 Series. This was helped in part by the introduction of a five-speed manual this same year, a transmission that would remain in the 6 Series lineup for the rest of its initial run. The 628CSi remained in production until 1987 with the same L-jetronic fuel injection, despite the 635CSi getting moved up to the Motronic system in 1982. That was far from the sole change that year, as the 635 also received a new engine with a smaller bore and longer stroke, although still at the 3.4-liter displacement. The changes allowed an increase in compression from 9.3:1 to 10:1, but there was more to be seen in 1982. At that time, the European 6 Series received an upgraded interior and a slightly modified exterior – changes that would come to the U.S. the following year. At the same time, the optional three-speed automatic received an extra cog, thereby further increasing economy for the 6 Series. But in 1989, the party ended. 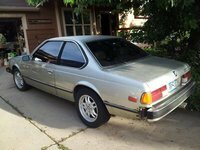 The 6 Series was abandoned in favor of the new 8 Series, and wouldn’t be seen again for another 14 years. 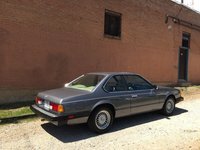 However, the 8 Series would never really catch on, with U.S. sales figures barely besting 1,000 per year over the first seven years of its lifespan. 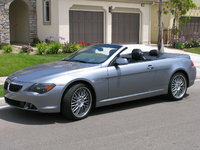 After ten years of the 8 Series’ lackluster sales, the 6 Series was reintroduced in 2003 as a 2004 model. 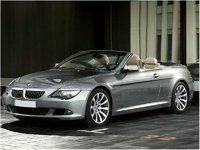 Again based on its 5 Series stablemates, the new version of the 6 Series started with the E60 platform to create the E63 and E64 coupe and convertible, respectively. At launch the 6 Series offered a 630Ci, 630i and 645Ci, with the 630 trims being powered by a 3.0-liter I6. It was a bit of a jump from the 630 of 1976, with 255 hp and 220 lb-ft of torque, but the 645 really showed up its ancestors with a 4.4-liter V8 producing 329 hp and 330 lb-ft of torque. Predictably, a diesel engine was available for European audiences, but missing on U.S. shores. 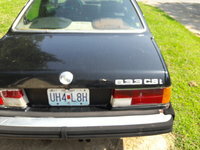 Named the 635d, this version sported a 3.0-liter twin-turbo diesel that could also be found in the 335/535d. While 286 hp isn’t enough to set any records, it’s the engine's monstrous and seemingly ubiquitous torque that really sets off the envy meter. 430 lb-ft available at only 1,750 rpm can really change your perspective. 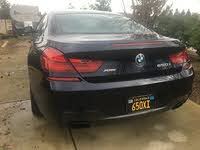 The 645 lasted only two years, replaced in 2006 by the 650i, powered by a bigger 4.8-liter V8 offering 359 in both the hp and torque columns. But even before the upgrade, the 6 Series managed to outsell the 8 Series’ total U.S. sales figures in 2004 alone. In fact, those figures continued through the 6 Series’ life, and continue today. The 6 Series will be redesigned for a third generation starting in 2012, and thankfully so. It seems there’s a need, or at least a want, for a middleweight luxury sports coupe from Bavaria.